As population health shifts industry focus, organizations are establishing innovative ways to engage patients, keep costs low and outcomes high. Population health represents an industry wide shift in focus. While healthcare used to be transactional and individual focused, population health emphasizes outcomes—and not just of a single patient, but of an entire population. Some healthcare leaders have found success in establishing new ways to reach patients and inspire them to lead healthier lives, ensuring patients get the appropriate level of care, while others focus on enhancing payer cooperation. 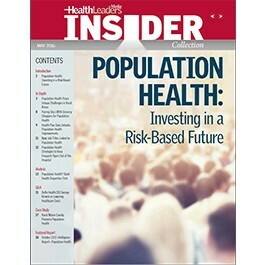 This collection of articles and resources reveals how organizations are handling the shift to population health.